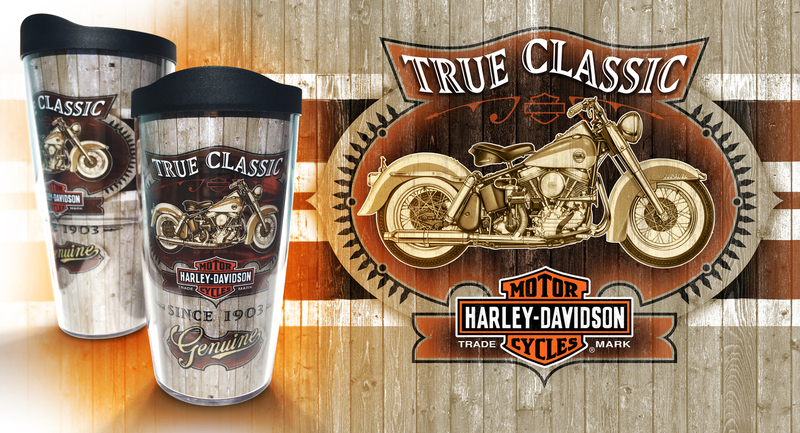 This was my second year creating designs for Tervis and Harley-Davidson. 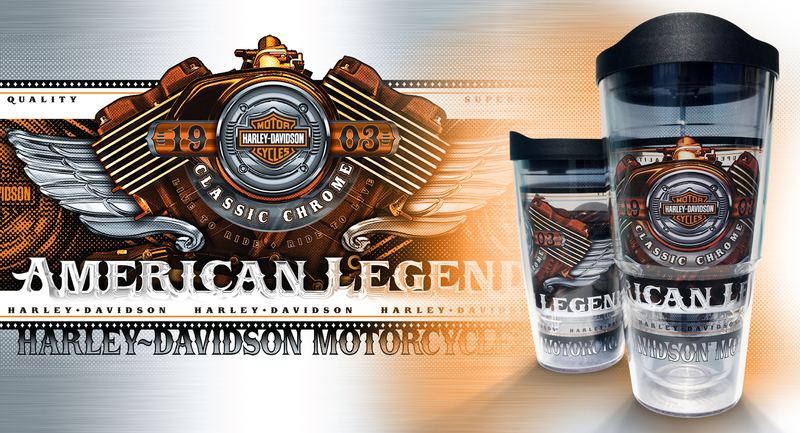 The first design was an exclusive design for a specific client (a Harley-Davidson dealer). The second tumbler was designed for their main Harley product line. Both images show the 16oz and 24oz versions. To see more detail, click images to enlarge.